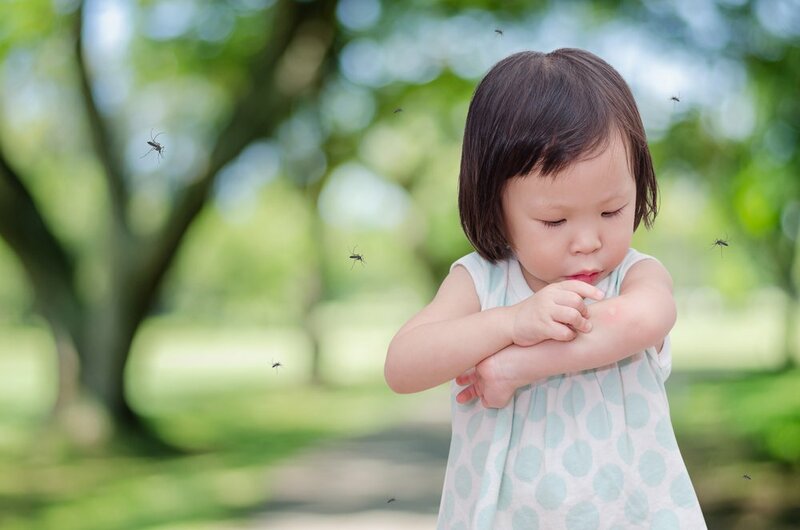 Insect bites or stings, like those of ants, certain caterpillars and centipedes, cause the skin to swell and itch, it can be painful and uncomfortable. Find out how to treat and prevent these painful bites. Rub the affected area with a cotton swab and apply a mixture of baking soda and water for 10 minutes. If the pain and inflammation persists, if your doctor has indicated that your little one can take it, you can give her a dose of ibuprofen to reduce the symptoms. If you see an anthill, don’t let your little one near it, and explain that she should not approach it. Also talk to your little one about centipedes and certain types of caterpillars that could be in your area, so that she learns they can sting and should not touch them. Remember to use insect repellent on exposed skin when you go outside. Apply a repellent approved by the American Academy of Pediatrics (these contain 30% DEET or less). Avoid applying repellent on your little one’s hands, eyes or mouth. You can also apply insect repellent on your little one’s clothes so that she is even more protected.